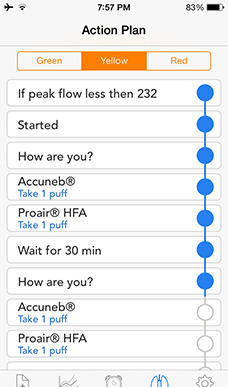 A peak flow meter is a portable, inexpensive, hand-held device used to gauge lung performance. 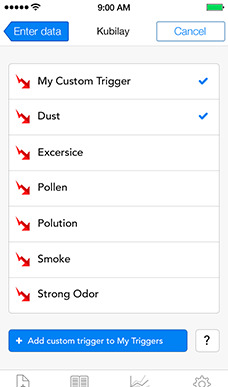 The meter measures your ability to push air out of your lungs in one fast blast. 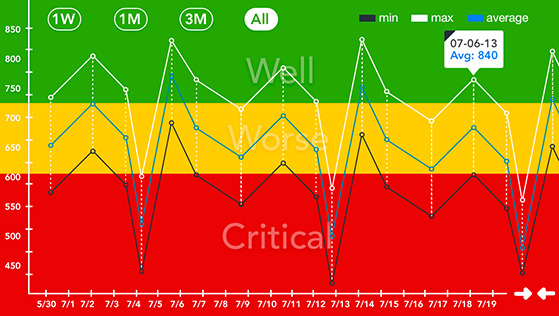 Increased accuracy leads to improved dosing adjustments, better treatment plans, and advanced attack warnings. 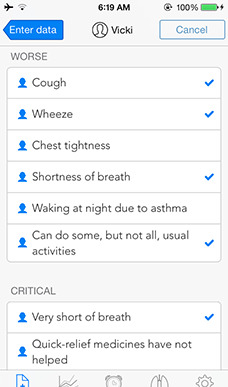 Replace paper journals and create a digital overview of your asthma activity. 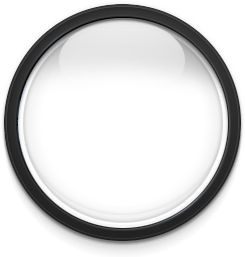 Easily link to video tutorials through a convenient QR code. 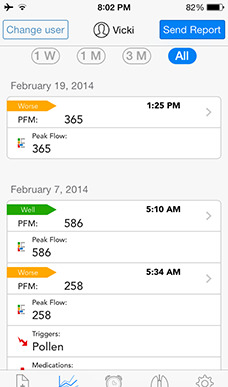 On the outside, the AsthmaMD peak flow meter may look simple, but on the inside, it is a symphony of science. 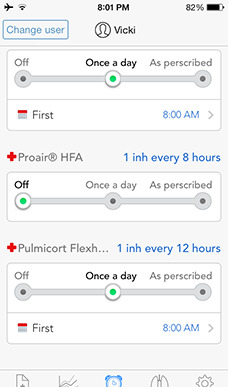 Parabolic side channels and a three-channel design housed in a lightweight device that stays consistent. 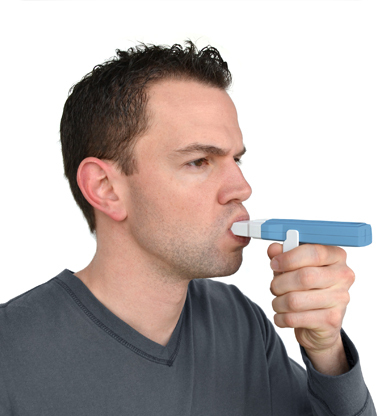 Designed using state-of-the-art respiratory testing instruments, the AsthmaMD peak flow meter boasts a better accuracy. 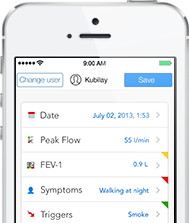 AsthmaMD Peak Flow Meter + Free App — an Innovative Approach to Asthma Management. 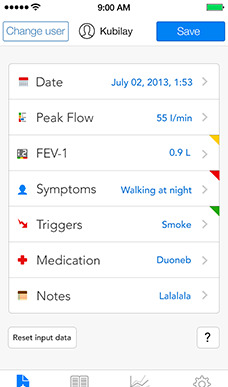 AsthmaMD is available as a free download for iPhone/iPod and Android users. 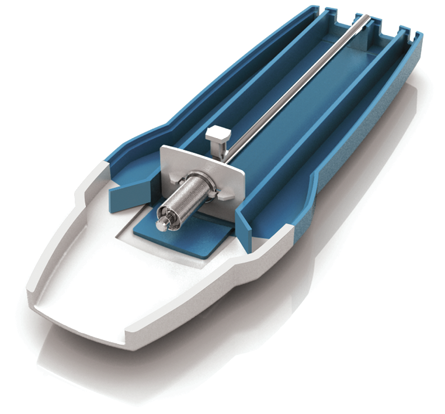 Get a Free Peak Flow Meter Sampler.